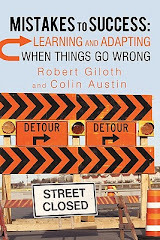 Bob Giloth's Blog: Failure Praise? "Reckoning with failure is key to kids' growth, but they're buried in mountains of flattery. How did we get here? And why can't we stop?" Heidi Stevens, "In criticism of Praise." Southwest The Magazine, January 2015. Every once in a while I'm surprised by what I find in the seat back of my ever-shrinking airline cubby, and I don't mean garbage or sharp objects. I snuck the this magazine into my backpack hoping they really meant free. One never knows these days. It's been standard parenting advice for the past few years that we should all cut down on the over-the-top praise and a gushing focus on the innate wonderful qualities of our children. Instead, we are told to moralize about hard work paying off and the distance traveled. Sometimes, however, I can't help but saying "great job," especially when my praise stinginess is read as a parental propensity for criticism and never being satisfied. Young adults, especially, are sick of parental lectures as they struggle for emotional, community and career footholds in the modern world. Try...Try again wears thin. We're also afraid of complete transparency about our own mistakes, fearing a loss of our own standing and our beloved family rules. What's worked for me in this light is praising my kids for picking themselves up, learning and doing better. This works for soccer, schoolwork, family relations and friends. But maybe this is an indication of my own indication of praise. I hope not.